A quick check with Time magazine confirmed there was no reporter by the name of Mark Webber. 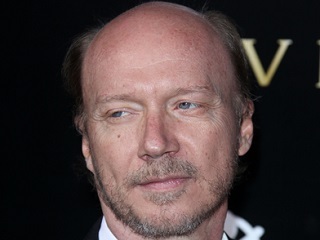 One of the most dramatic moments in the HBO documentary Going Clear is when Paul Haggis recalls his reaction upon being gifted with the crown jewels of Scientology – the religion’s origins story. “Are you f*cking kidding me? !” the filmmaker remembered thinking. Today, via Tony Ortega, Haggis is sharing another whopper that appears to have the Church’s fingerprints all over it. Someone working on behalf of the Church apparently pretended earlier this month to be a reporter for Time magazine, contacting Haggis via email on April 7 for an interview. Not only was Haggis’ team quickly able to ascertain that “Mark Webber” had nothing to do with the magazine, but via further cyber forensics, they traced the email to a Los Angeles building owned by the Church. Haggis also recalls an interesting episode with Scientology publication Freedom magazine in the wake of Lawrence Wright’s original New Yorker article. Read the full Ortega blog post here.